Some thoughts and observations on the recent MasterCard Regulatory forum on how safe and secure digital payments, including mobile money, can and are contributing to financial inclusion. 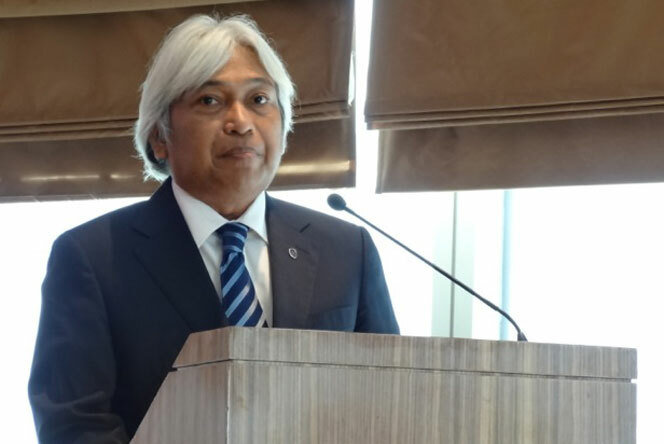 Bank Negara Malaysia Deputy Governor Dato’ Muhammad bin Ibrahim highlights Malaysia’s high mobile penetration rate and its importance in promoting and further supporting digital payments. How safe and secure digital payments can contribute to financial inclusion was the main topic of discussion among regulators, policymakers, private sector players and other high-level representatives in Kuala Lumpur at a regulatory forum sponsored by MasterCard and the Bill & Melinda Gates Foundation on 4-5 August 2014. The forum presented an opportunity to elevate discussion around the trends in the use of digital payments for financial inclusion purposes and risk management best practices for various forms of digital payments. This entry was posted in Alliance for Financial Inclusion, Mobile Money Regulations, Regulations and tagged Digital Payments, Indonesia, Malaysia, MasterCard, Solomon Islands, Tanzania, VISA. Bookmark the permalink.